mention of Lithuania in historical records. A wealth of cultural events – concerts, jazz, theatrical performances, ballet, opera, dance festivals – have been staged in Vilnius, with many more exciting events scheduled before the end of the year. Numerous historical and artistic exhibitions have been demonstrating the rich cultural and historical heritage of Lithuania and Vilnius. 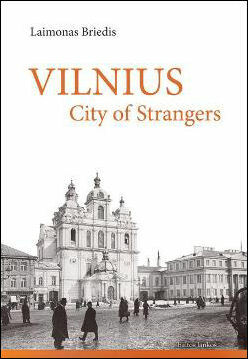 A recent book on Vilnius by Laimonas Briedis (“Vilnius: City of Strangers”, Baltos Lankos/CEU Press, 296 pages) has received critical international acclaim. A fun-to-read book, it deals with the city’s rich and multi-cultural history through the words of people who visited the city over the centuries since the founding of Vilnius by King Gediminas in the 14th century. Reviewing the book, the British magazine “The Economist” described Vilnius as “an example to others - a contested city, but not a divided one”. 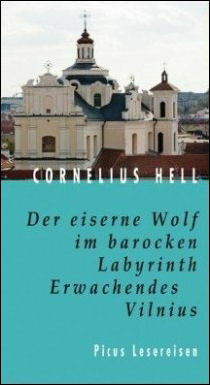 Another interesting book, this time presenting the multi-faceted Vilnius to the German speaking world, is “The iron wolf in a baroque labyrinth. Awakening Vilnius” (“Der eiserne Wolf im barocken Labyrinth. Erwachendes Vilnius”, Picus 2009) by Cornelius Hell. The “iron wolf” in the title of book is a symbol of Vilnius. In the legend about the founding of Vilnius, the howl of a mighty “iron wolf” is heard far afield and prophesises the fame of Vilnius that will spread around the world. 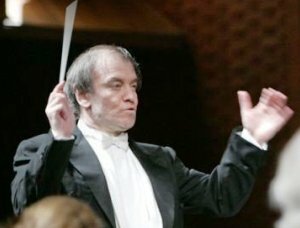 Valery Gergiev conducting in Vilnius. 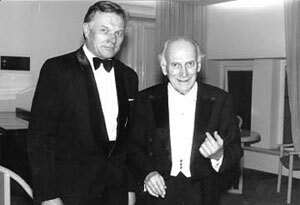 conductor of Kaunas State Choir.